Gloves such as these are essential for preventing the spread of dangerous bacteria and germs in all environments. 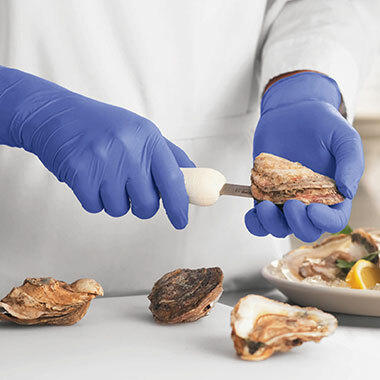 Whether in the kitchen, the janitorial station, lab, bathroom or doctors office, Nitrile gloves are the most durable gloves on the market. These gloves protect from harmful cleaning chemicals that can damage hands and won't rip or break during use.